This winter, I'd easily say I've been drawn to sequins, boots, and suede. Not really sure what it is with me lately, but those have definitely been the majority of my purchases. 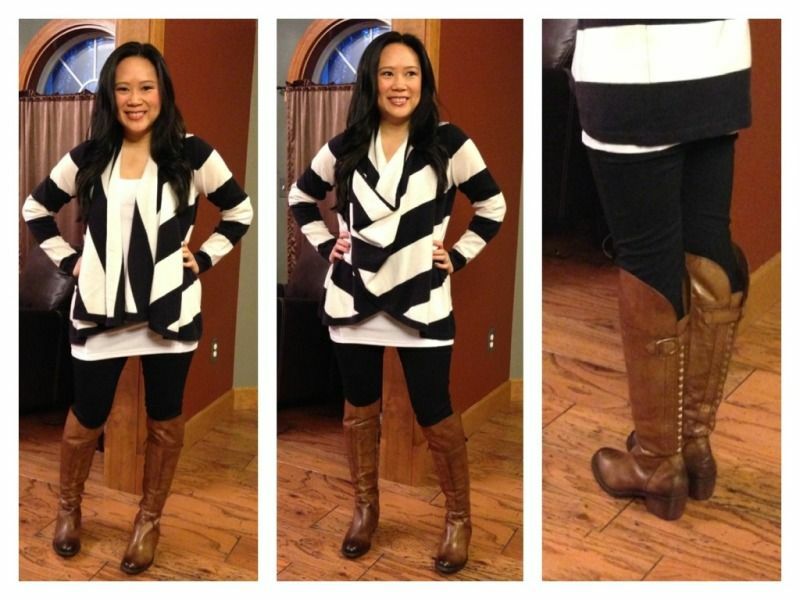 So, in keeping with my boot obsession, I wanted to highlight these Vince Camuto boots. Super simple flat, black boot, but with stud detailing on the back. When I first bought them, I only wore them once or twice and honestly second guessed my purchase. They weren't something I would have ever picked out for myself, but my SA at Nordstrom recommended them for me. This year, I have a new found appreciation for them, and I have worn them a ton. They're very comfy (after some admitted stretching in the calves) and I just love the edginess of the back view. So, you can imagine my happiness when I saw similar boots come up on Dillard's New Year's Day sale for only $99, original $249. 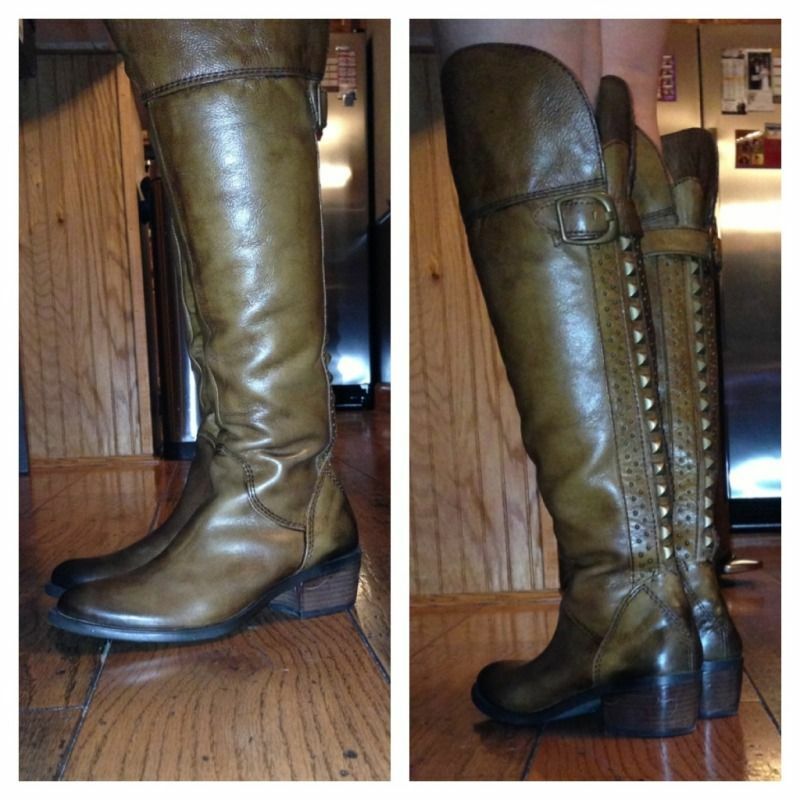 These are the Vince Camuto "Bollo" boot. They were a little snug in my calves again (my circumference is about 13.5-14".) I sprayed the inside of the calves with some shoe stretcher spray and wore them around the house a couple of hours for two nights, and then they were ready to wear out of the house. They're just as awesome as the black pair, and I love their distressed coloring. Not as cheap as I found mine, but you can find the Bollo boots on sale here. I am very much into bright colors, patterns, and stripes. I almost always look for these things first. 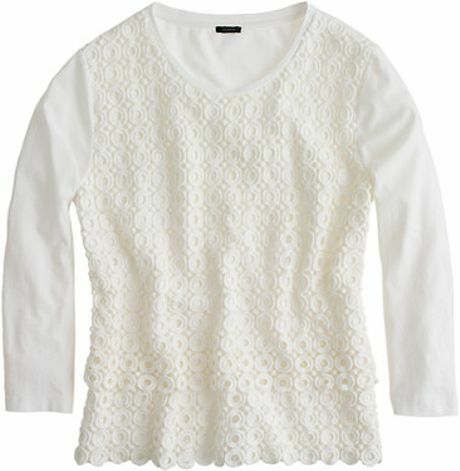 I saw this circle lace top during JCrew's additional 30% off clearance sale and was on the fence about the neutral color and boxy shape. I figured it was worth the try for the price. The second I tried it on, I was in love. The shape wasn't as boxy as I thought, and the photo on the website did not do it justice. The fit is simple and classic, but the texture and detail make this "better-than-a-tee" very special. The tiered hem does not add any bulk or volume, just more added interest.